Eric Bruce, a proud BOSS owner for over 15 years lives in Wawa, Ontario Canada, located on the northeast corner of Lake Superior. Eric first purchased a plow to take care of the parking lot of the motel he owned and looked for a couple of additional plowing contracts to justify the purchase of a new plow and truck. Quickly, other people saw Eric plowing and his few parking lots grew to 5 or 6 parking lots and anywhere from 30-40 driveways resulting in Eric Bruce Enterprises. 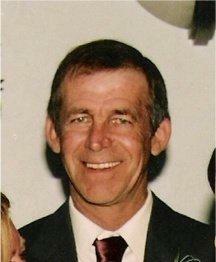 Bruce has been a loyal BOSS owner since the beginning of his days snowplowing. The first plow he ever owned was bought in 1999 and was sold in 2005. Bruce explains that his very first plow is still being used by its new owner. Today, Bruce plows with his Ford F 250 with a BOSS V plow on the front. It is his third BOSS plow and he doesn’t plan on switching. BOSS has been always been there to back him up. His favorite feature is the plow’s ability to stack snow during the severe winters that blow through Ontario, Canada. On average, Bruce plows 30-35 snow events each winter 150 inches of snow falls cumulatively. 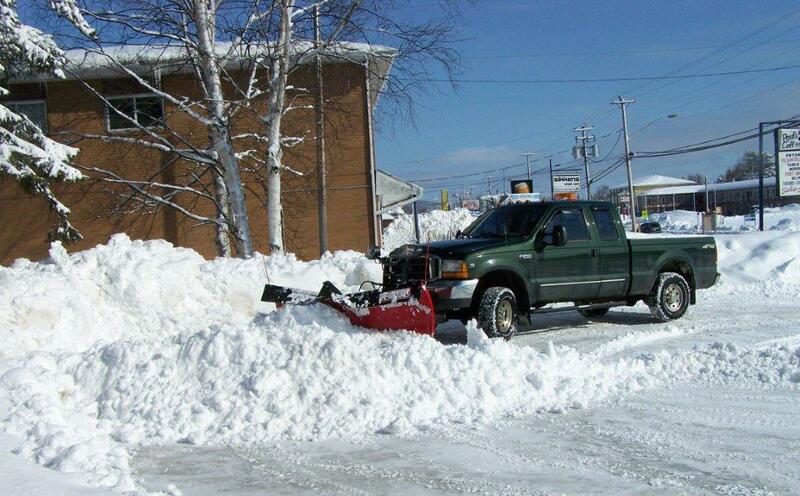 Bruce recalls his toughest snowplowing job about five years ago when 27 inches of snow fell in just twelve hours! To prepare for a full day of snowplowing, Bruce makes sure his truck is fueled up and the block heater and battery blanket are plugged in. He checks the plow over and tests for proper operation. He is sure to pack all spare parts and tools in the truck including extra coats and winter gear after one unfortunate night when his heater motor quit at 10 below zero! His typical day begins at 5:30 am to plow businesses that open early. He then makes a round plowing snowbanks located in front of driveways so clients can get out to start their days on time. He returns later to finish the job when the driveways are empty for the day. Around 9:00 am he stops for a cup of coffee and lets the town plow get ahead of him a bit. Finishing up mid-afternoon, Bruce tries to get a nap in before new jobs come up for the evening plowing. The best advice Bruce can offer to snow plow contractors is to check over your plow and conduct a preseason site inspection in the fall before the snow comes. Bruce learned the hard way when a client had a steel plate buried in snow, covering a catch basin drain in their parking lot. He plowed the plate off and ended up dropping his front wheel into the open hole. The plow push beam stopped the truck before any steering components got damaged, but it was difficult getting the truck back out. BOSS is proud to serve its BOSS owners during the toughest of snowstorms with reliable products. Thank you to Eric Bruce for being a loyal BOSS owner and for DRD Distributing for being a trusted BOSS Distributor!